We are excited to announce that the McWherter Family is planning to join the GAP staff on July 1, 2016! 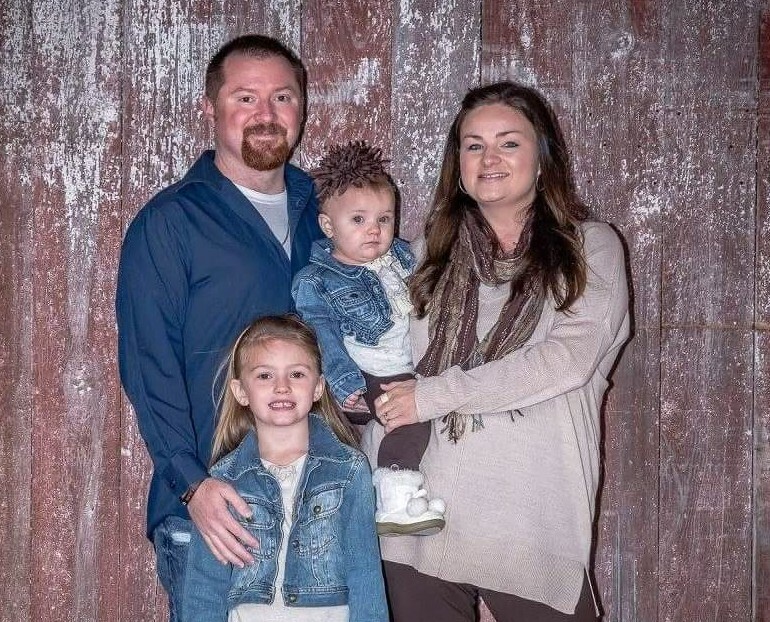 Josh, Tasha, Kaelyn, and Ziley McWherter are from Murray, KY. In February of 2013, Josh and Tasha knew that God was calling them to fulltime missionary service somewhere in the world and the only question left in their minds was where. They looked at different countries, towns, people groups, and ministries, but their hearts always returned to the people of Eastern Kentucky and Appalachia. Tasha said, “I began to feel so compassionate about a place I had never been.” In August 2015, the McWherters made a 3 day vision tour to Eastern Kentucky. That trip was confirmation that 3 days would never be enough; that they belonged in Eastern Kentucky. Since then, the McWherters have made other trips to GAP and God has confirmed that this is where they are to serve. At this time, the family is in the process of being appointed as NAMB Missionaries with the Southern Baptist Convention and will be MSC/self-funded missionaries. Josh and Tasha will be serving on our GAP staff team as the new Missions and Ministry Associates working with mission teams coming to serve here. Please pray for the McWherter Family during this exciting time of transition. If you would like to become acquainted with them, and follow their move to GAP, please “like” their new Facebook page “The McWherters in Appalachia”. This entry was posted in The Footprint on February 20, 2016 by WebManager. GAP’s theme verse for 2015 was I Corinthians 3:7, “So neither the one who plants nor the one who waters is anything, but only God who makes things grow.” I am so thankful for all the partners who have came alongside us this year to help plant the Word of God and water the seeds already planted. Prayer partners who have faithfully prayed, financial partners who have sacrificially given, and volunteer partners who have answered the call to go, have all played a vital part in the Lord’s ministry here at GAP during 2015. This summer we saw the beginning of a weekly women’s Bible study at Left Beaver Townhouses. God provided two faithful ladies to lead this study, and although attendance varies from week to week, the ladies are growing in their relationship with Christ. One of the ladies from the study told us how much she enjoys the study and how the teachers seem to bring the Bible to life for her. Last year was packed full of exciting ministry. Teams helped us hold several Backyard Bible Clubs, VBSs, wonderful ministry times at the Group Home, many great home visits, and there were awesome times of ministry at BeansTalk as teams engaged our clients with the love of Jesus Christ. I’ll never forget going to check on a team working on a client’s home (Nason) during some minor repairs. The excitement in Nason’s face and voice as he took me into his newly remolded bathroom to show me around, but then shared that he had knelt beside his tub that day with a member of the mission team and accepted Jesus Christ as his Lord and Savior! It has been a year full of ministry. As 1 Corinthians 3:7 talks about planting the seed and watering, the verse reminds us that it’s not about the one who plants or the one who waters; it’s all about Him. For it says, it is “only God” who can plant the seed. It is “only God” who can water the seed. It is “only God” who can give ladies a desire to study His Word each week and bring it to life for them. It is “only God” who can make Himself and His love known to others. It is “only God” who can transform any of us just like He did Nason. Praise be to God, forevermore! It is “only God” who can bring together a bunch of broken, worthless vessels, like ourselves, for His glory and honor! Thank you for making 2015 a year of growth! Thank you for your faithful prayers of petition. Thank you for your generous financial gifts of support. Thank you for answering the call to “go” and serve alongside us in 2015. “Oh, give thanks to the Lord, for He is good! For His mercy endures forever, “ 1 Chronicles 16:34. This entry was posted in Uncategorized on February 20, 2016 by WebManager. 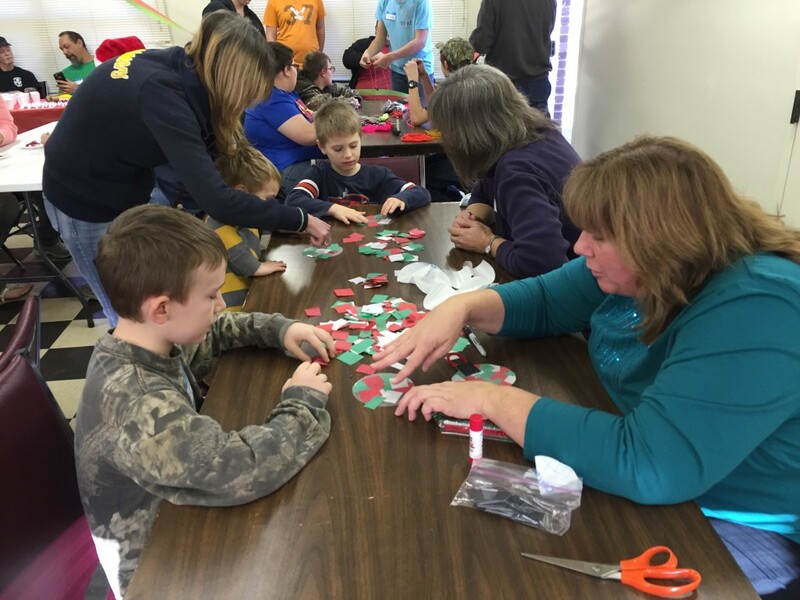 God poured out many wonderful ministry opportunities during Christmas Project 2015. This year’s event was characterized by generous donors and grateful recipients like no other year. God blessed us with the honor of ministering to 1,234 children through the Stephenson Christmas Store and 163 children through our parent’s store. 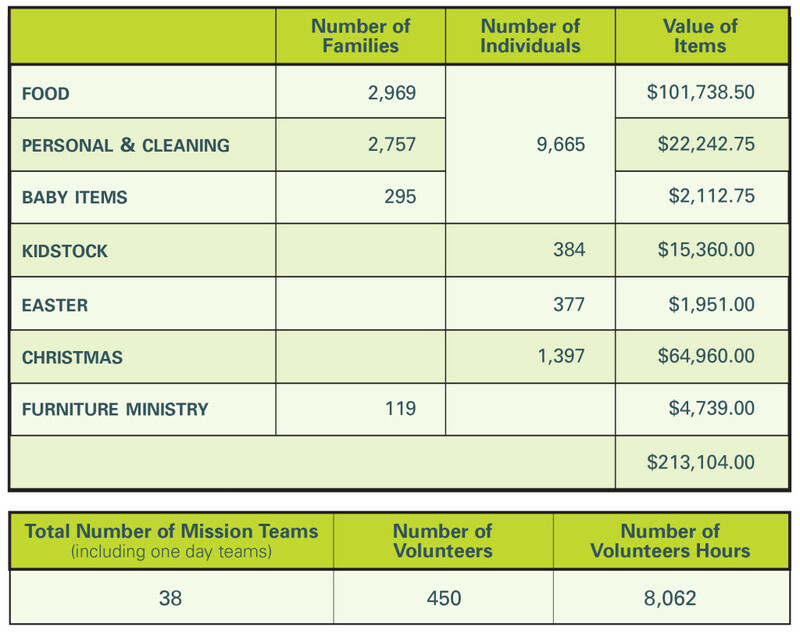 Praise God for the generous donors who partnered with us to share the Gospel this past Christmas season and the many volunteers who served alongside of us! This year we had several first time clients come to the Christmas Store who had been hit hard by the economy. They had found themselves struggling and needing help this Christmas for the first time. As they walked into the Stephenson Christmas Store and saw the shelves full of toys they were moved to tears. God gave us opportunities to share with them about His care and love for them and their family. “John, I know you probably don’t remember me but you helped me get toys for my kids this Christmas. I was the one that kept crying. I just wanted to say thank you for the help this Christmas. My kids would not have had Christmas without them. Every time I see my kids play with these toys I cry because I just can’t believe someone would do this for me and my family. I know you said not to thank you but to thank God but I thank you both. Me, husband, and kids have started going back to church. Please pray for Sarah and her family as they are not believers. Pray that God will use those toys as constant reminders of His love and provision for this family and the many other families that we had the honor and privilege of ministering to. I received several other thank you notes from parents and children of our clients this year. Many cards with just the words “thank you!” It is great to hear back from our clients. 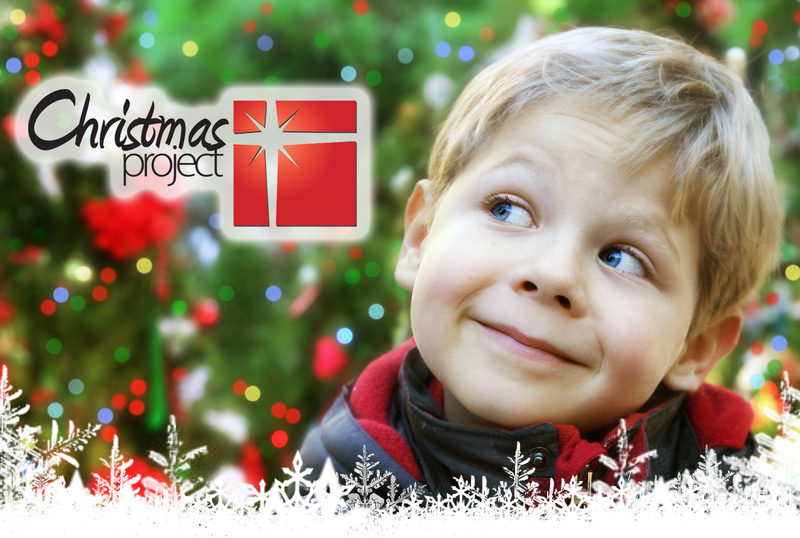 I cannot express in words my gratitude to all our Christmas Project sponsors. Thank you for partnering with us to share the Gospel message with so many this past Christmas season. I would also like to give thanks to all our partners who came and served during Christmas Projection 2015. The following churches had people serve: Forks of Elkhorn B.C., New Found B.C., Heartland Worship Center, South Orlando B.C., Union B.C., McDowell F.B.C., Big Creek B.C., Fitzpatrick B.C., and Ridge Point Community. I am also grateful for all our prayer partners. Please continue to pray for these families. 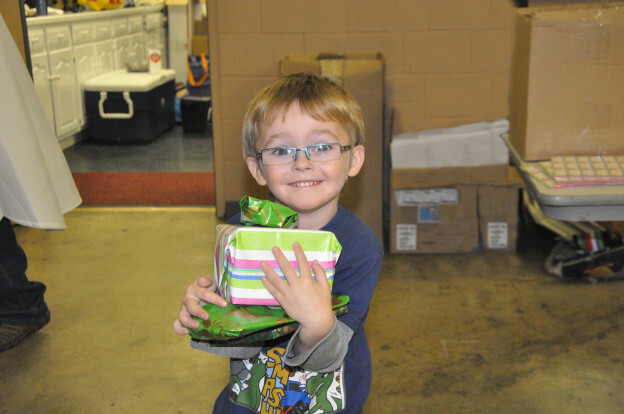 Pray that the toys and gifts will continue to be visible reminders of God’s great love and provision for each of them. Pray that God will continue to water the seeds that were planted! This entry was posted in The Footprint on February 19, 2016 by WebManager. It was time to seek where God wanted me to focus -beyond my comfort zone, beyond our community- to go, share and make disciples. Would it be a risk worth taking? I am just one member of the Mission Committee. Because of our burden, our committee chairman and pastor invited Appalachian Region Mission’s Missionary Dewey Aiken to speak. Afterwards the committee chose to consider GAP as one of three ministries to visit on the August 2015 vision trip to Eastern Kentucky. Led by our Pastor Jeff Maynard and Mission Committee Chairman D.C. Whitlock, we left the comfort of our community. The first two ministries tugged on my heart but lacked the answer I sought. The last stop on our overnight trip was McDowell, KY and the GAP. Missionary John Morris gave an introduction of the work and described the heart of the ministry. We toured the facilities and met Kathy Henson. After the introduction, as I walked the lodge property talking to the Lord, I knew where I would be engaged, learn and serve. My heart was broken and at peace. The process remained for others on the trip to understand what the Lord was saying to each of them. The Mission’s Committee remains unified that there is much work and opportunity in all three of the locations we visited. 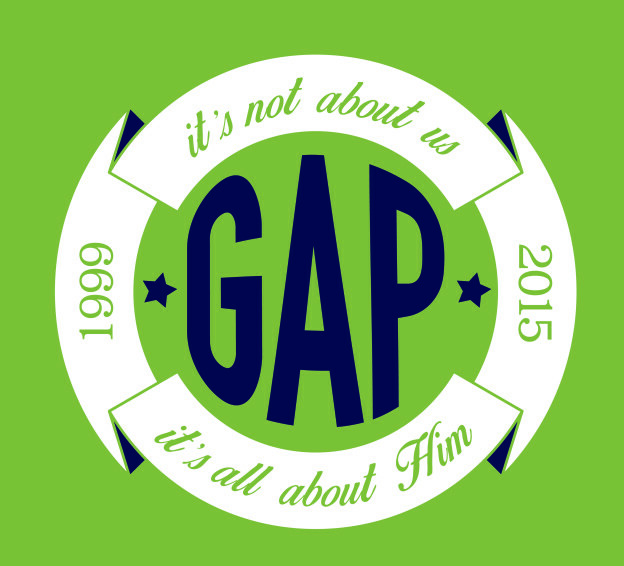 My evaluation: I was impressed with GAP leadership, their prayer lives and their understanding of the community. They have in place a great potential to reach their community for many reasons; two are: their established local church relationships and their evangelistically developed process to build relationships within in the community. Also, they have in place many opportunities to utilize all the generations of our church with the least amount of pre-planning on our part. I believe GAP has the most in place to teach us about reaching the Leicester community. Three of us who took the vision trip are members of the Empty Nesters’ Sunday School Class. As director of this class, I inquired of the other two where they felt the Lord drawing each of them? We were unanimous: McDowell and the GAP! Then in prayerful agreement with class leadership, the opportunity was presented to the members for prayer. Pastor Jeff gave his affirmation: “John and his team has established guidelines because he understands the dynamics of the community; this is a great opportunity to become involved.” With the agreement of the class, I contacted John. One aspect that intrigue us was the opportunity to be face-to-face with those whom we could minister. It wasn’t just delivering “stuff”. We would have the opportunity to get to know them. We agreed we wanted to build relationships that point to Jesus. It felt both exciting and overwhelming to prepare for this journey with the Lord. There were times it was difficult to understand how the process could possibly work! A time or two I really wanted to re-do the process; selfishly, I wanted to do it my way. So prayer and more prayer as I recommitted to follow the Holy Spirit and the plan John had given our group. I would question, “He lives and walks among them, so who am I to think I know better?” I resolved to proceed in unity. It was a faith process. As class members were considering each one’s level of participation, a few stepped forward to begin shopping for the list of items to stock the store for the parents. Others made financial plans to help sponsor a child. And several began planning the crafts for the party. All prayed. The main event was Saturday, December 5 at an apartment complex we had not visited on the vision trip. The all-day event involved setting up and tearing down “the store” twice. Once for the parents to shop for their kids or teens, and a second for the children to shop for their parents. The last event was a Christmas Party with crafts to make-and-take. The whole experience would focus on those we grew excited about going to meet! Six made commitments to go. Short on team members, the opportunity was extended to the whole church. Finally, it was time to pack and travel. Gifts loaded. There were a number of vehicles traveling each at different times that Friday leaving Leicester, NC just west of Asheville. We were warned that GPS’s would be of little assistance once off the main highway in Pikeville! Yes, this was going to be an adventure especially for the after-dark late and early morning travelers! The first vehicles arrived at the lodge. We unpacked, ate, met with John and staged the gifts and crafts for the next day. With confidence, most turned-in for the night. Like a nervous big sister, I waited for the last vehicle that night and then woke-up early to check on the early morning travelers. Everyone would arrive safely! I repeated: God has this under control! I just needed to rest in Him and watch the day unfold. With three travelers still en-route, the morning began with breakfast and re-packing the vehicles. John and Kathy met us at the lodge to lead us to the northwest corner of the county. At the apartments, the last vehicle arrived shortly afterwards. It was a blessing to see this team absorb the instructions for the day. Then in one accord everyone began the first set-up. All day long we enjoyed working together! Peace surrounded us. The age range of our 11-member team was retirement to middle school, but age made little difference. The younger ones had the same enthusiasm as the oldest one. With diverse backgrounds and skills, we were knit together for one purpose: serve those who came to spend the day with us. The store set-up, it was time to greet the first parent scheduled to shop. A team member would accept the “personal shopper” role and guide the parent through the store. The parent would be shown the choices and choose items for their child/teen, spending the assigned number of points per child. Through this process we learned about their child. Gifts chosen, the “personal shopper” would be joined by a second team member and help was given to carry the gifts to the waiting car, or to the family’s apartment. Conversation continued. At the car or apartment door an offer to pray was given. Everyone welcomed the opportunity extending their hands to join the circle of prayer. Often hugs were extended to the team members. Every parent expressed their gratitude. 19 families with a total of 45 children/teens were served. Next the parent’s store was set-up. The children came for their appointment and chose a gift for their parent/s. A wrapping paper station awaited the children so they could keep their gift a surprise. Again, the team members welcome the children and engaged them in conversations as the gift/s and wrapping paper were chosen. All the way to the last piece of tape the children were happy to be in the store. 17 children came to shop. All day long the team talked with the residents inviting them to the Christmas party and the make-and-take crafts. Many residents seemed unsure about returning so we really had no idea who would return. We were overjoyed as the community room began to fill-up with moms, dads, toddlers to teens! Four tables were set-up and ready for making crafts: a twig tree ornament, a beaded candy cane ornament, a tissue paper ornament and especially for the teens a woven cord bracelet. The time flew as we worked and visited. Asking for everyone’s attention, the work and talking stopped. Chairs were turned; toddlers grew quiet. The Story of Jesus’ Life was listened to with careful attention. Afterwards, there was opportunity to talk about the story as cake and punch were served and the craft-making continued. Then it was time to clean-up and everyone return home. Saying our good byes, we realized they had touched our lives. Each one felt it: they had truly spent time with us. I am convinced, that as our group serves together, we are seeing spiritual strength and unity develop through practical applications of the Bible lessons we are studying. Dennis: “The people listened intently and were very respectful when I shared the Gospel with them. They were also very content and welcoming when we prayed with them.